Closed on Good Friday, Easter Sunday and Easter Monday. Were, going surfing!!! 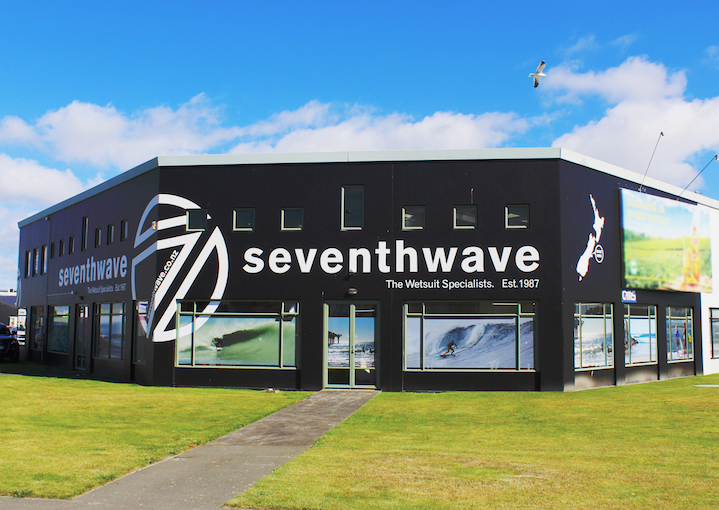 Seventhwave Wetsuits is now located right at the end of Ferry Rd on your way to Sumner, back in our old location, Christchurch. This is where we design/make and retail our wetsuit range. We are located between our 2 great beaches, Sumner and New Brighton on a main arterial route to make it easy to find us. We have plenty of parking. We have an exceptional team of wetsuit specialists and in house tailors. We wear our gear all year round so we know what you need and we know how it should fit. If you are needing to pop in outside of our opening hours, give us a call and we will try and work something out. Often we are in the shop longer anyway. If your planning a trip to Christchurch anytime, come and visit, we'd love to see you. If your out of town please give us a call to discuss your needs or send us an email. We can easily still help you out.